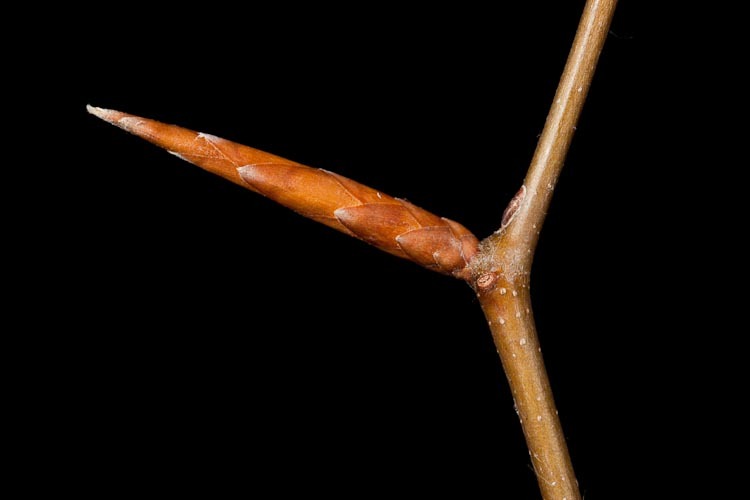 The buds of American beech are so long, narrow and pointed that they almost resemble thorns. 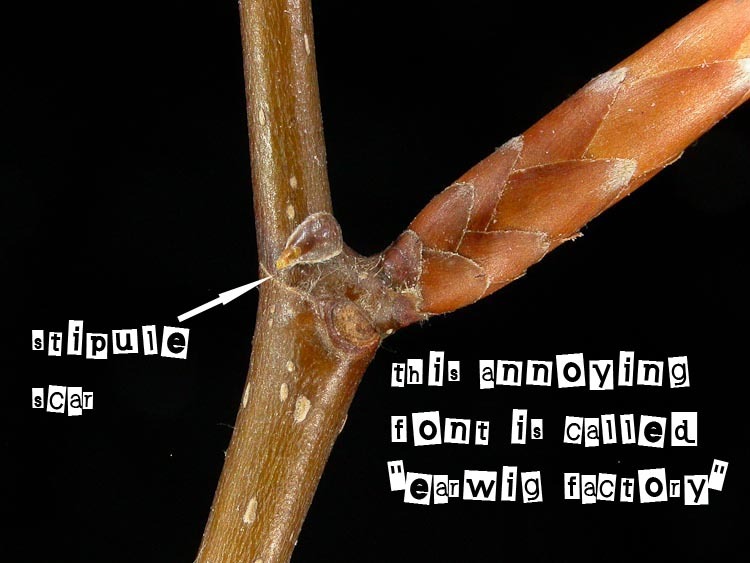 See also how nicely imbricate (shingled) the bud scales are. Close-up,see the small semicircular leaf scars, and and narrow stipule scars extending off of them. American beech has small stipule scars.